So you’re ready to grow your Facebook Group Community or start one so you can grow your business and Encourage Prospects To Join You Faster. 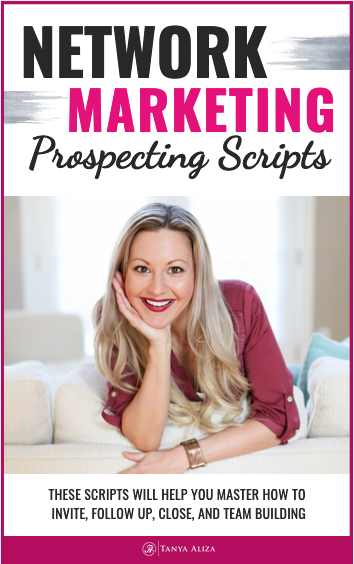 I love Facebook groups and if you’ve seen Episode 49 you know that it’s one of my favorite Facebook marketing strategies to grow my business. I’ve been able to use my Facebook group to 10X the growth of my business. But beyond business and money, it’s also a great way to really connect with your community and build a relationship with them. But how exactly do you bring people into your Facebook community that are high-quality and will actually turn into teammates and customers? In this Episode of Tanya Aliza TV, that’s exactly what I’m going to show you how to do! I’m going to share 8 ways to grow your Facebook group community so that you can master Facebook marketing with your groups and turn your prospects into customers or teammates FASTER. This week, since we’re talking about ways to grow your Facebook group community… I put a great resource together for you to help you create a profitable Facebook group community for you and your business. Overall, it’s just an awesome Facebook recruiting strategy. So if you haven’t started a Facebook group, you really NEED to create one. I’ll leave a link in the show notes section below to Episode 49 where I’ll leave a resource on that Episode that will show you how to create a Facebook group. And if you already have a Facebook Group Community you’ll want to learn how to get really good at promoting the group. And that’s exactly what I’m going to help you with today! I’m going to give you 8 really great ways to grow your Facebook Group Community, so you can start seeing HUGE results in your business. This is very annoying and will piss people off so just don’t do it! 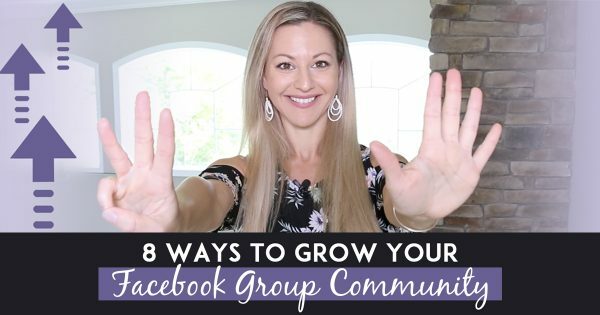 Ok, so now that we got that out of the way lets jump straight into 8 ways to grow your Facebook group community so that people will get excited about joining your Facebook group. When your Facebook group is ready… do a Facebook Live with the purpose of announcing it’s launch to the world and invite everyone to come and be a part of your Facebook group community. During your Facebook Live ask people to comment below to be added to your Facebook group community. 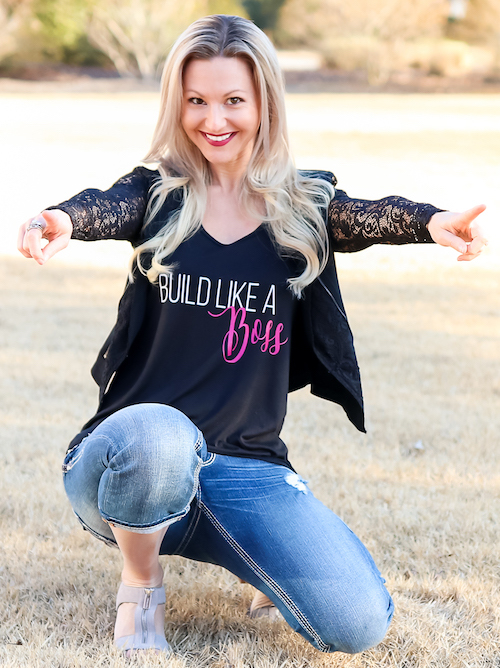 And since I do a Facebook live every week I tell people about my Facebook group Build Like A Boss and invite them to come join me in the group from time to time. You also want to do Facebook image posts periodically that bring awareness to your group and tells people why you put your Facebook group together and how it will specifically help them if they join your Facebook group. Okay, I totally suggest you build a blog if you don’t have one. And if you do have a blog then this is a great place to give exposure to your Facebook group. You can add awareness to your Facebook group on the sidebar of your Blog or under your blog posts as a resource for your audience or even on your Menu bar. These are all great ways to use your blog to bring awareness to your Facebook group. I’m a big fan of doing videos…if you’re not doing them yet you should. Make sure to do a plug for your Facebook Group Community in your videos and let people know what’s in it for them and the benefits of joining our group. Another great place to give your Facebook group exposure is by putting an invite message that leads to your group in your Email Signature. You should have a Facebook live schedule and go live at least once a week. I do mine every Tuesday and I call them Tuesdays With Tanya and I always put a plug in for my Facebook group Build Like A Boss. That’s another great way to bring awareness and grow your Facebook Group Community. I’m sure by now you’ve noticed that I put out a Freebie each week on my blog. If you’re also giving your audience value via freebies then you will want to put a link to your Facebook group at the end in the resources section. 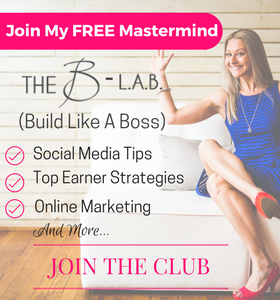 I definitely encourage you to download one of my Freebies if you haven’t done so already and take a look and how I use this strategy as a way to grow my Facebook Group community. Your posting something on Facebook you might want to include an invite to your Facebook group by using a P.S. at the end. P.S. If you haven’t already joined my Facebook Group called XYZ Come join us! It will help you [insert the benefits of people joining your group] Click here to be invited into the group. See you there! Make sure that you’re linking your Facebook Group community with your Facebook Business/Fan page. Go to into the settings tab of your page, it will then ask you if you would like to link a group and there you can choose your Facebook Group community to link to your page. Starting a Facebook group is one of the best ways to grow your business. But it’s really important that once you have your group created you run it properly. However, it’s important to remember to maximize all opportunity inside the group. You not only want to give amazing value and interact with your people, you also want to make sure you’re making a good business decision with profits top of mind. So from my experience of owning a highly engaged Facebook group, and also being a part of many Facebook groups that I’ve studied, I’ve put together a guide to help you maximize your results from your Facebook group. Make sure you download The Guide To A Profitable Facebook Group Community. Did you get some value from these tips to help you grow your Facebook group community? I hope you did because each week I put my heart into making sure you get some amazing strategies to help you grow your Facebook group community and rock it in your business while creating a life you love. Question of the week: Do you have a Facebook group that you’re using to build your brand, deliver value and build a community around? If you do, drop the link in the comments below and let us know what you love the most about having your Facebook group and how it’s helped your business.